Yeah, I can’t believe it either, but Halloween is just weeks away. If you’re looking for some fun ideas to decorate your pad for every geeks favorite holiday, why not send Igor out to steal you a brain in a jar? 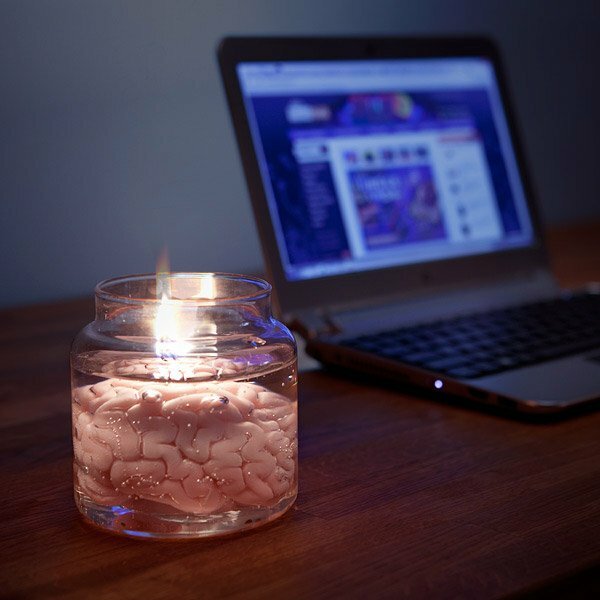 The perfect centerpiece for any formal dinner, the brain candle is hand-sculpted to look just like real brains, floating in clear gel wax so it looks like something you’d find in Dr. Frankenstein’s lab-or-a-tory. Thankfully, this thing is unscented, as we’ve all smelled formaldehyde in high school biology, and that’s not something any of us would care to repeat – especially the dissecting frogs part. So if you’ve got an open mind, head over to ThinkGeek now, where you can grab the brain candle for $19.99(USD). Igor promises you that it’s a totally normal brain.